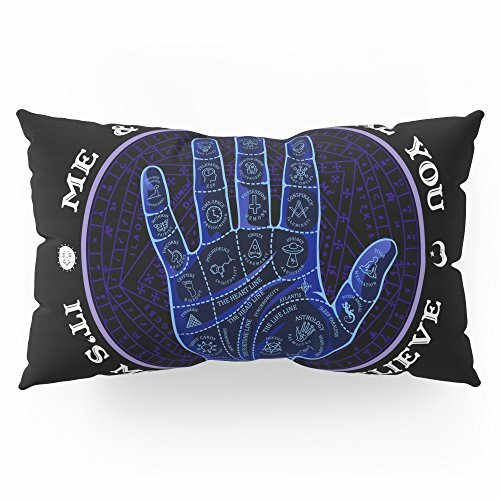 Society6 Me & Paranormal You - James Roper Design - Palmistry (white Lettering) Pillow Sham by mapy. Our Pillow Shams merge creativity with premium fabrics, bringing unique style to your bedroom. Each design is printed on soft, fuzzy 100% polyester for rich colors and sharp images that don't fade. The reverse side is a white 50/50 poly-cotton blend with an envelope closure down the middle to keep pillows snug. Machine wash cold (no bleach), tumble dry low. Available in standard (20" x 26") or king (20" x 36") sizes.